Designed for performance, Hu-Friedy Extraction Solutions are engineered to optimize clinical outcomes by delivering efficiency throughout extraction procedures. From Apical Forceps, which feature thin, tapered and sharp parallel beaks for improved root and crown contact, to Luxating Hyrbids which aid in preserving the buccal plate during atraumatic extractions, Hu-Friedy offers a full suite of extraction armamentarium. 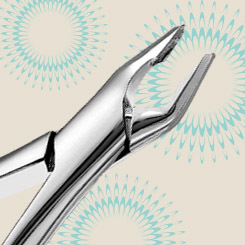 The precise, anatomical design of Hu-Friedy’s Apical Forceps feature thin beaks for penetrating surrounding bone and firmly grasping roots to aid in atraumatic extractions. 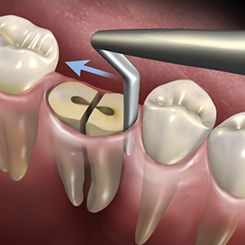 Hu-Friedy provides clinicians a full suite of Luxating Elevators and Periotomes to facilitate the removal of teeth with minimal damage to the surrounding bone. Featuring sharp, thin blades, each instrument is designed to exacting specifications to aide when severing the periodontal ligament. Hu-Friedy's Hoexter Mesial Distal Luxating Elevators are designed to protect the osseos ridge by luxating roots in the mesio-distal plane. About Implantology Solutions Hu-Friedy is committed to providing a total surgical solution for your practice. 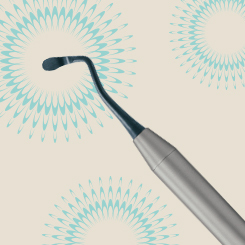 Our extensive line of implantology products ranges from sinus lift curettes and osteotomes to bone grafting instruments. 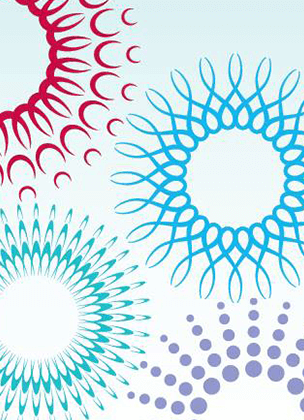 Many were developed in conjunction with Hu-Friedy Key Opinion Leaders and global educators. 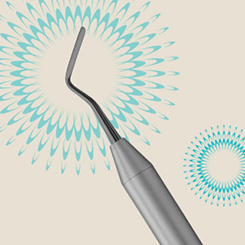 Designed with the clinician in mind, our implantology instruments are handcrafted with the highest quality materials with stringent standards to ensure precision and performance throughout every procedure.